Dog-friendly, kid-approved. 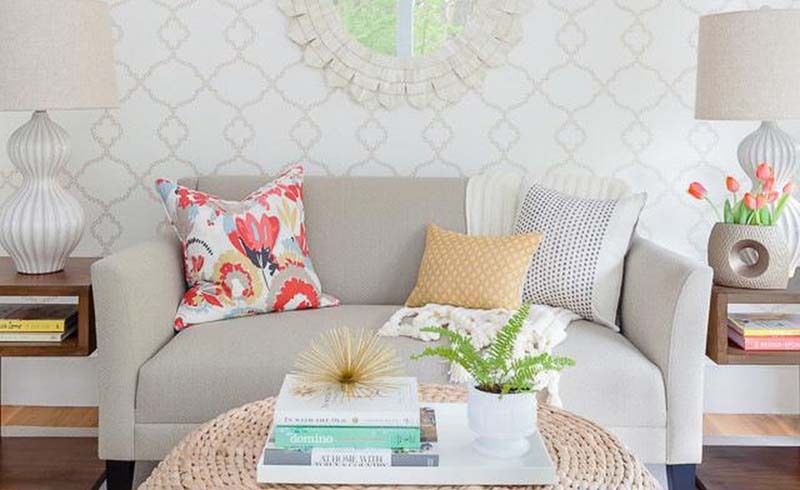 Architect Heather Wilson welcomed us into her bright and beautiful Charleston, South Carolina home and revealed her budget-savvy decorating secrets. 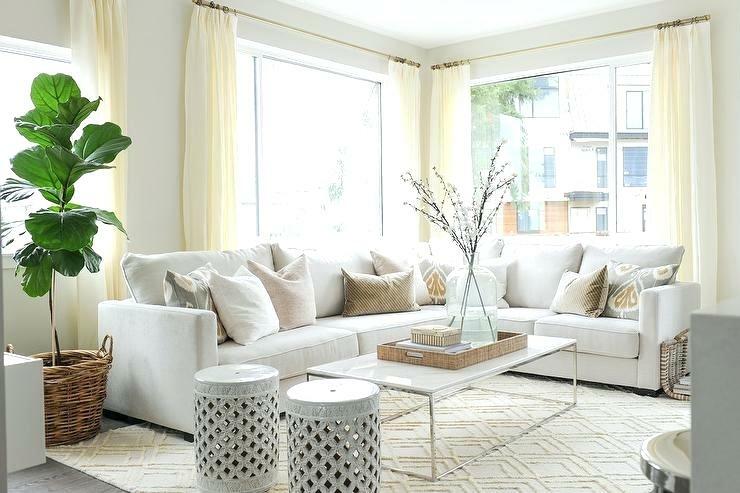 The Wilsons’ family room puts children and comfort first, with a deep, durable sectional dressed in slipcovers that can be bleached; piles of pillows in a simple palette for foolproof pattern mixing; an untippable coffee table and poufs; and a rough-and-ready cowhide rug. “You can spill anything on cowhide, then just hose it off outside,” says mom Heather. The bold light fixture is the cherry on top, adding elegance without compromising the room’s purpose. If there’s one thing that the soothing, airy home of the Wilson family, in Charleston, South Carolina, makes clear, it’s that gray, black, and white don’t have to be boring. 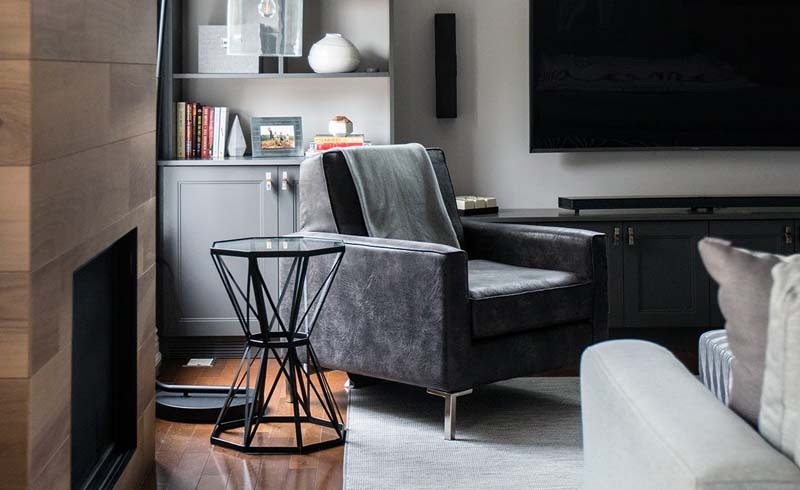 “I try for a big moment in every room,” says Heather, who oversaw the renovation of the house and designed the interior. In the living area, furnished with scaled-down pieces that suit its dimensions, the “wow” comes from the elephant in the room, a large palette-knife painting by Georgia-based artist David Ryden. It’s tonally in sync but playful and unique—and a favorite of the Wilson kids. (If you have a hankering for a large mammal, peruse artflakes.com and consider a print on canvas.) When a whole open-plan area is rendered in neutrals, even hardworking features can look artful. The fireplace framed in dark sheet metal makes a pleasing focal point. The room where the family spends most of its time is an incubator for smart solutions: a higher-than-standard farm table that works for food prep and hides seating; a trio of paper lanterns hung from one point, to read like a casual chandelier; a sisal runner bordering the room for coziness while cooking; and a big houseplant on the counter to adorn a bare wall. 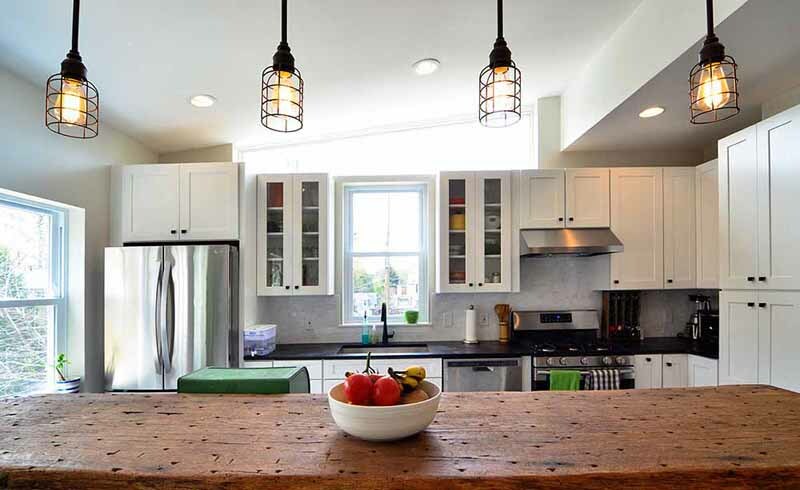 Heather opted for windows instead of upper cabinets when she renovated her home. (“If I had uppers, I’d fill them with unnecessary stuff.”) She stores dishes and glassware in cabinets and drawers below, where the kids can reach. 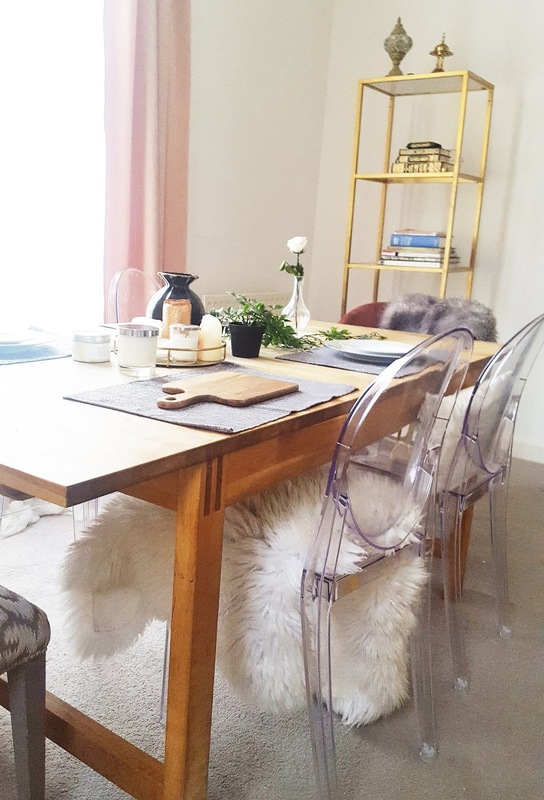 If it tends to become a ghost town or a junk heap, why not recast the dining room as a creative space? Heather made a commitment by drilling holes in her 10-foot table to accommodate the cords for two buffet lamps. Built-in shelves create an intimate, library-ish feel. Lucite chairs on one side of the table and a bench on the other make the table feel casual and inviting for school projects and homework. To step it up for the occasional dinner party, the bench is swapped out for matching Lucite chairs. On holidays, this table can take on a crowd of 14. Heather tried an indoor swing in the kitchen but says it was too crazy in an active zone. Here, in daughter Pierce’s room, it makes an enticing reading nook. It hangs from a giant hook from the hardware store, installed in a stud. Almost all the windows in the house are curtainless—not practical in every home, but a choice that contributes to the bright, crisp charm of this one. Pale blue walls complement the green view. Warm textures, like wicker, velvet, and distressed wood, help a sparsely furnished space feel soft and friendly. 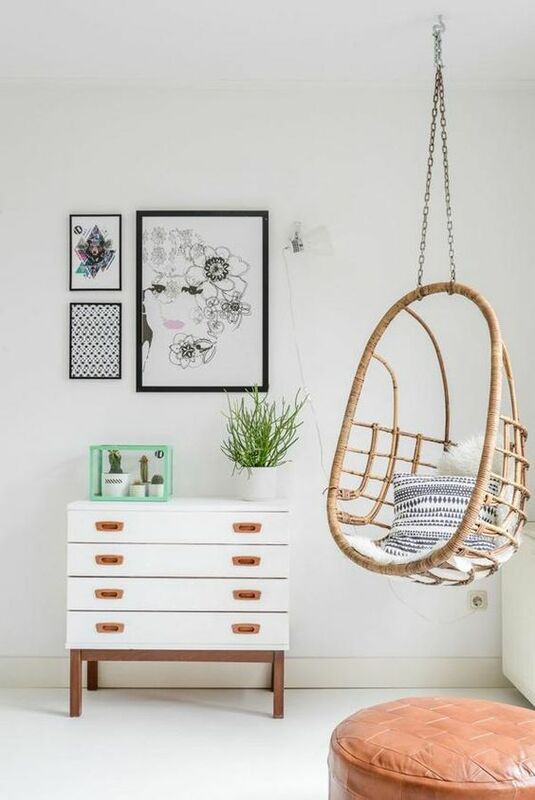 With all the chaos that can spill out of kids’ rooms, a glossy white zone in between is calming and refreshing. Globe lights echo the paper lanterns downstairs, connecting this stark space to the rest of the house. A solo painting gets the gallery treatment. Instead of using standard doors, Heather installed several sliding barn doors, which take up no “swing space” when open. 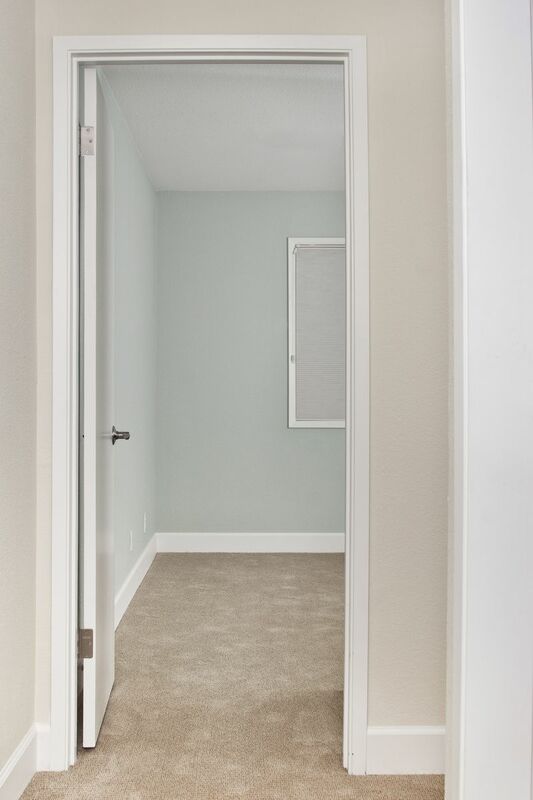 (A contractor can easily install sliding doors, dimensions permitting.) Rustic exposed hardware breaks up the expanse of wall and adds another subtle layer of character to the house.